Long plane rides are good for something. 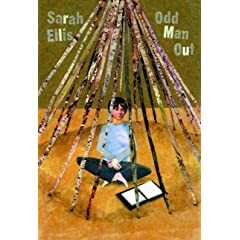 On a very long plane ride to visit my daughter in Down Under country recently, I brought along the new Sarah Ellis book, Odd Man Out. I was not disappointed. If you’ve read my blog before you’ll already know that I’m a big Ellis fan so no surprise there. 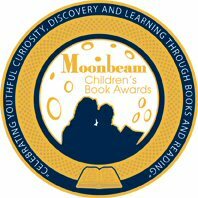 As usual, Ellis tackles tough subjects with a quirky sensibility that has come to define her highly individual approach to children’s books. Kip, the main character in Odd Man Out is the odd man in multiple ways. Visiting his Gran along with five female cousins, Kip is the only boy, the only one who isn’t a regular, and the only one who doesn’t know how he will survive a summer where the rules have been turned upside down. Since Gran’s rambling old house will soon be torn down, anything goes (except tearing down load-bearing walls). Gran’s rules are written on the walls, and the most important one seems to be no whining. To make matters worse, Kip is equally uncertain about fitting in back home when his mother and her new husband do finally return from their vacation (carefully not referred to as a honeymoon) in Hawaii. The discovery of a dusty notebook belonging to his dead father uncovers a secret and exciting world acts like a healing balm. Kip builds a sanctuary in the attic where he can read his father’s words and share in his fictional creations. Just when things are looking up, a family talent fiasco brings Kip’s new found sense of belonging crashing down. As usual, Ellis has peopled her popular fiction with quirky characters that jump off the page. Gran’s “anything goes” approach to her impending move, hobo dinners, and trips to the free store are balanced by a vulnerability that makes you as nervous as her grandchildren when she is rushed off the Island suffering from a possible heart attack. And, the “girlatorium” as Kip refers to his cousins are as engaging as they are unique―insists that she is a dog who speaks human. What is different about Odd Man Out though is the increasingly complex and subtle way that Ellis introduces sensitive issues such as mental illness. She is a writer at the top of her game. I can only marvel at her skill and look forward to her next book.